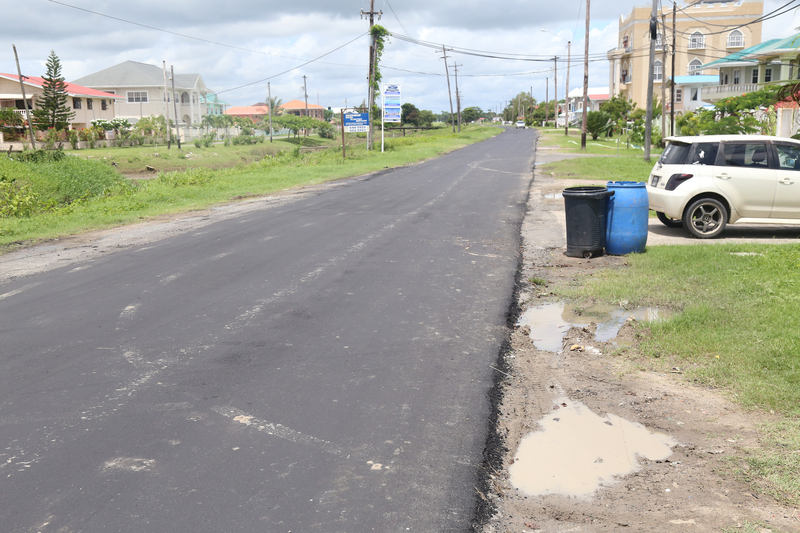 The preliminary upgrade and rehabilitation of Carifesta Avenue and the Ogle Airport Road, respectively, are almost complete and these thoroughfares will be ready for use from today Junior Minister of Public Infrastructure Annette Ferguson has said. 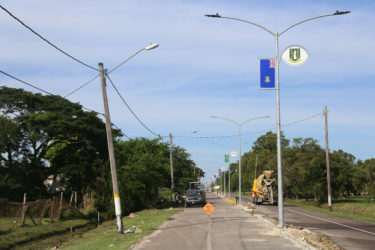 “… Because most of the delegates [for the 27th Heads of Government of Caricom Conference] would be coming in through the EFCIA [Eugene F Correia International Airport]… what we undertook to do was to have works done from the airport right through to the Railway Embankment and on Carifesta Avenue,” Ferguson told Stabroek News yesterday afternoon. 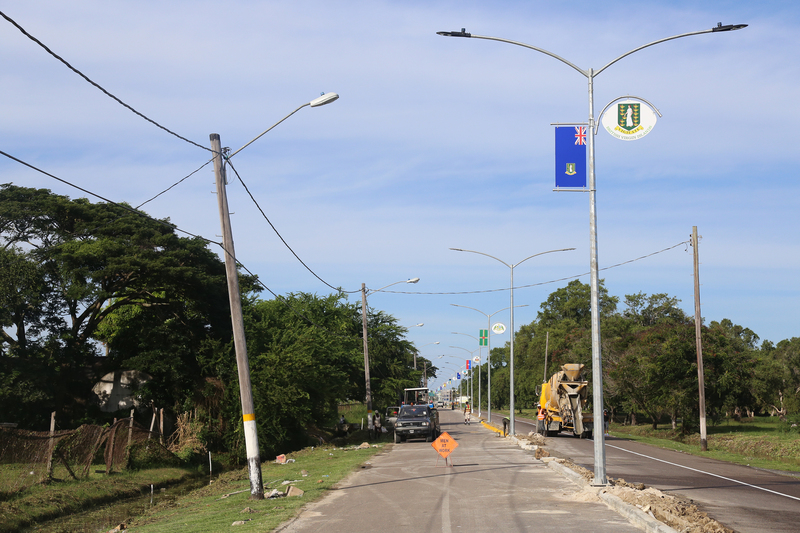 The coats of arms of the Caricom member states will be placed along Carifesta Avenue in time for Monday—Caricom Day—when the Heads of Government conference will begin. Ferguson was charged with overseeing the completion of those road works and she said she has been working tirelessly to ensure that the area, which will be traversed a lot by the Caricom heads, is up to par. Most of the delegates will be staying at the Marriott Hotel and will use Carifesta Avenue to get to the Caricom Secretariat at Liliendaal. 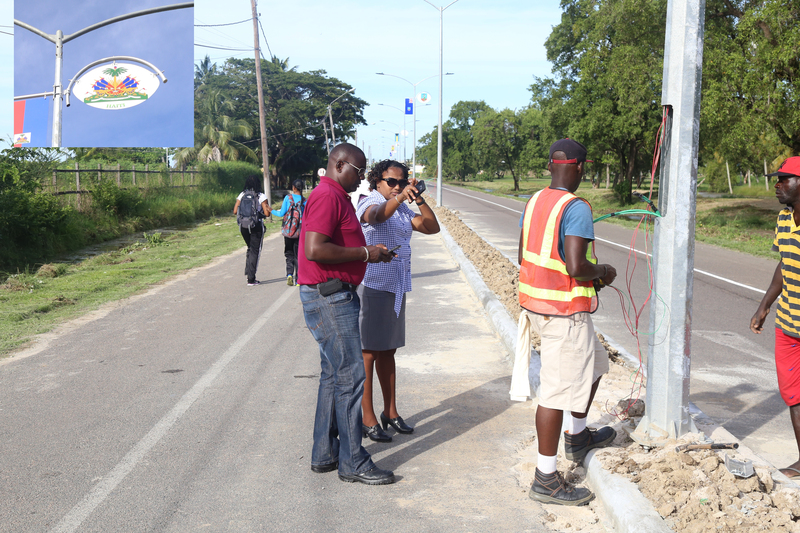 The Junior Minister also informed that additional lighting was installed along the Ogle Airport Road and the Carifesta Avenue median. “…It will be completed in time for the Heads of Government meeting. We have already installed the lamps, there in the median, and have painted the area and installed flags. The northern and southern drains [are] done and we will be doing some remedial works…,” she asserted. Ferguson pointed out that weeding along the roadways mentioned will also be completed by this afternoon. Chief Works Officer at the Ministry of Public Infrastructure Geoffrey Vaughn had said that the work on the avenue was part of a project to rehabilitate it and when finished, the road will be wider, to facilitate more traffic and a better flow at the two intersections at Camp Street and Vlissingen Road and Irving Street. While a project of such magnitude would take up to six months, Vaughn had said, they are expecting to finish it by the end of July.